For the last week of my January cleaning, I tackled our cold storage room. It basically needed to be tidied up. I didn't really purge anything from the cold storage, but I did remove items that didn't belong. 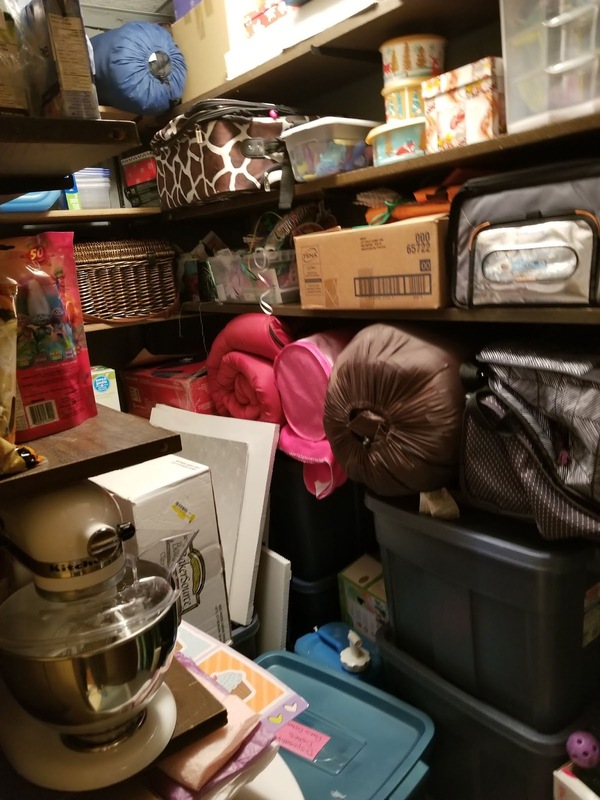 I keep our camping supplies, seasonal decorations and books and extra food supplies in our storage room. I tend to stock up on pantry staples when they are on sale. 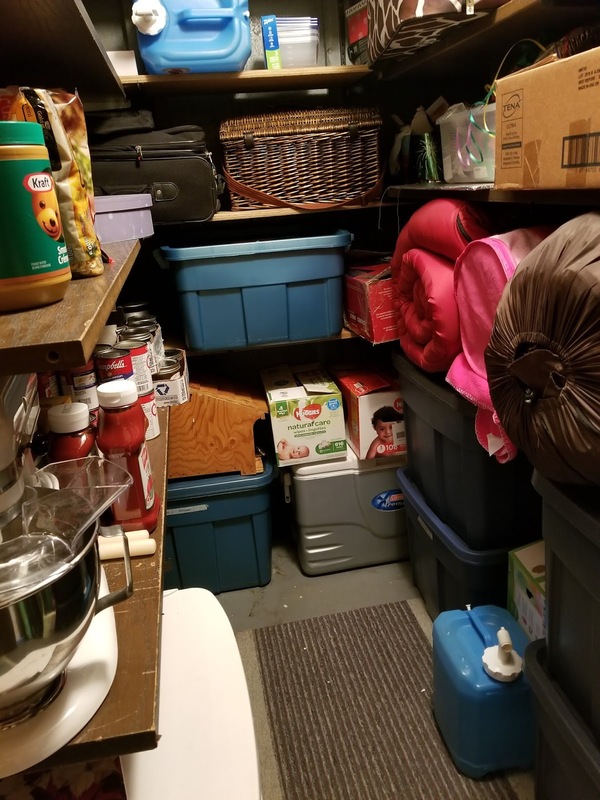 Our upstairs pantry can't fit everything, so I put items in the cold storage room. My home feels much cleaner and much more organized. Thank you for joining me for January Clean & Purge.